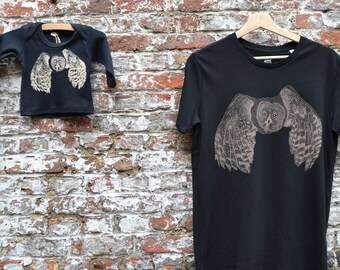 Announcement Graphically designed T-shirts for men, women, kids and babies. 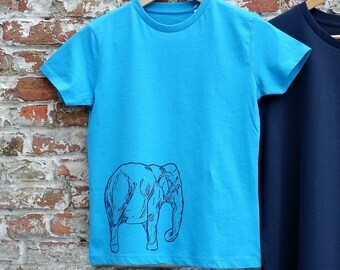 Quality T-shirts, ecological and made fair trade. 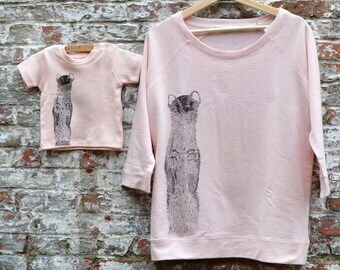 With our own print-designs (screen printed). 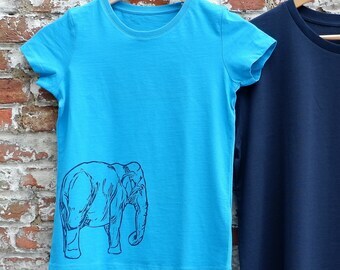 Graphically designed T-shirts for men, women, kids and babies. 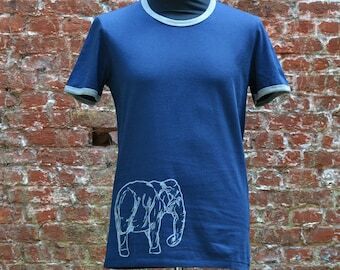 Quality T-shirts, ecological and made fair trade. 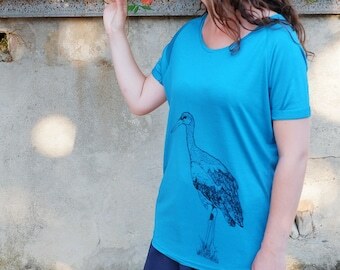 With our own print-designs (screen printed). 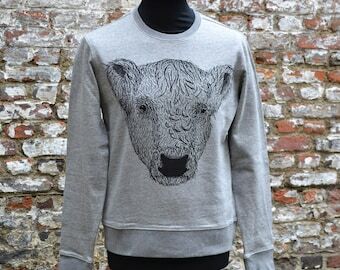 Our shop is open again! & We had twins! After a break to enjoy some quality time with these 2 little wonders, we're back in business. 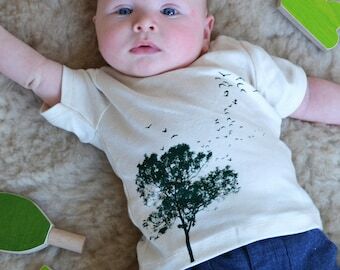 Matching Family Outfits in my etsy shop all ecofriendly and fair trade! A sneak peak in our shop in Mechelen, Belgium. Jordi & Karolien, jun.2015, when we opened our store. 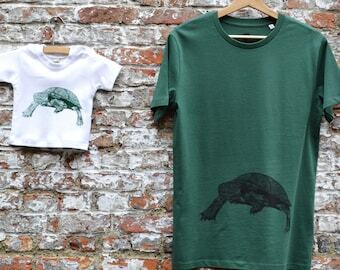 Since our boy&girl are born, we love baby T-shirts even more! Jordi: "As a child I was always drawing something and I was very interested to take this further. But there was no Art-school nearby, so when I was 14 years old I switched over to electronics. After that I went to College to study electronics and home automation and got a job in the sector (and I'm still working there now). Recently I've picked up my pencil again and started drawing more and more." 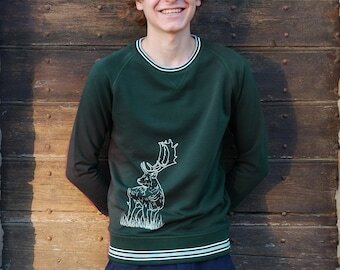 Jordi: "When I met My girlfriend (Karolien from korneliaShop) in 2012, I also met a real Etsy-fanatic. That way I got interested in Etsy too. 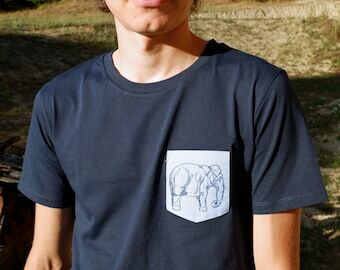 Thanks to my love for cool T-shirt prints, I started an Etsy shop. 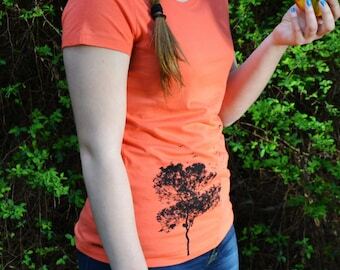 My dream is to see people walking down the street with my T-shirt designs. I love to make something that's hip and fun for other people." Karolien: "I'm very happy to support Jordi's creativity. Because he has a day-job and we have baby-twins he often couldn't find enough time for Art Effect Prints, so I'm helping out with all the selling / shipping / photo's / marketing / ..., so he can focus on drawing." 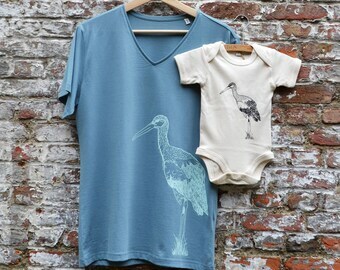 Jordi & Karolien: "A lot of the designs are printed on T-shirts for men, women, babies and kids, that 's why a lot of people bought these as a matching set of outfits for everyone in their family. Since we became (twin)parents ourselves (in jan.2017), we like it even more to make 'familiy outfits'! 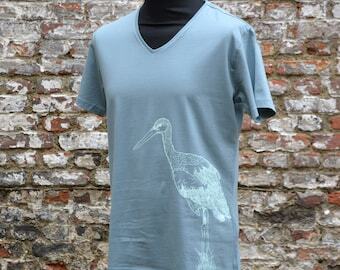 Jordi & Karolien: "We are against exploiting humans for mass production of clothing. It's way more fun when you know who made it and that you know it is made in a fair way. 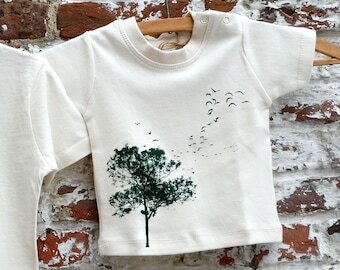 That's what we like about Etsy, you known who made it and you buy from real people. Besides our etsy-shops we have a brick-and-mortar shop in our house, in the city centre of Mechelen, a small but lovely city in Belgium, Europe. Because we live upstairs and because we only sell our own products, it is very personal and customers love that!" Jordi is the designer of all the prints in this shop. He loves to draw (digital) en is inspired by animals, nature and by being a dad!